They say celebrity deaths come in threes, but when it comes to the passing of Jack Klugman and Charles Durning on Dec. 24, two is way more than enough for me. Both character actors were invaluable to Hollywood, and I loved the work each of them did. Durning completely stole that movie from Dolly Parton and Burt Reynolds — no small feat in 1982! Durning never became a real leading man, and I always had a private theory that he wasn’t allowed to work as much as he deserved because he always stole the limelight, no matter what he did. And he did a lot; his film resume is as long as it is impressive, including parts in such classic films as The Sting and Tootsie. He was nominated for Oscars for Tootsie and Whorehouse. The last time I saw him, he was on FX’s RESCUE ME, playing Tommy’s irascible father, Michael. His run there ended with a quiet and sentimental death scene. That was probably my favorite Oscar line — aside from the monks episode, in which Oscar organizes a craps game using sugar cubes: “The Lord giveth and the Lord taketh; we’re just gonna find out how mucheth.” Klugman won two Emmys for playing Oscar, but he could have taken the trophy all five seasons the show lasted. Klugman’s Quincy character helped pave the way for the popularity of the modern forensic procedural — and, depending on whether you like ‘em, could be a good or bad thing, He also starred in a couple of memorable episodes of THE TWILIGHT ZONE. The highlight of Klugman’s film career was probably his appearance as Juror No. 5 in the classic courtroom drama Twelve Angry Men (1957). But Klugman never left a viewer feeling angry; just entertained. And the same with Durning, who never delivered a bum performance. The only anger I feel is over the loss of such amazingly talented and creative men on the same day, Christmas Eve 2012. 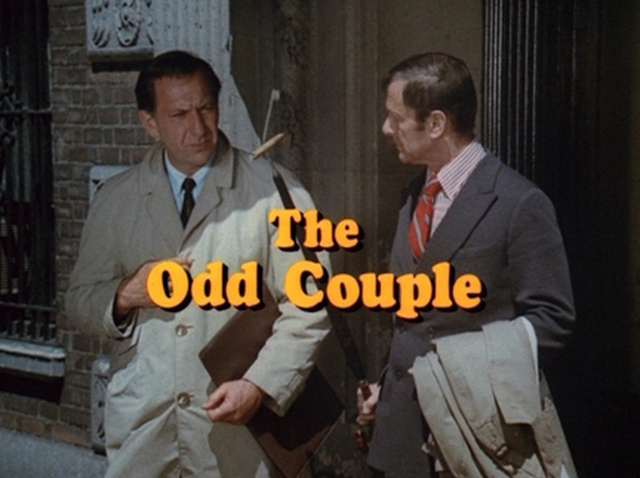 At least both actors had great runs: Klugman was 90, and Durning 89 (he would have turned 90 on Feb. 28). This entry was posted in Film, Personal, Requiem, TV and tagged Charles Durning, Jack Klugman, postaday2012, Quincy M.E., Rescue Me, The Best Little Whorehouse in Texas, The Odd Couple, Twelve Angry Men. Bookmark the permalink.